Q. How do I have a book sent to my faculty or staff office? 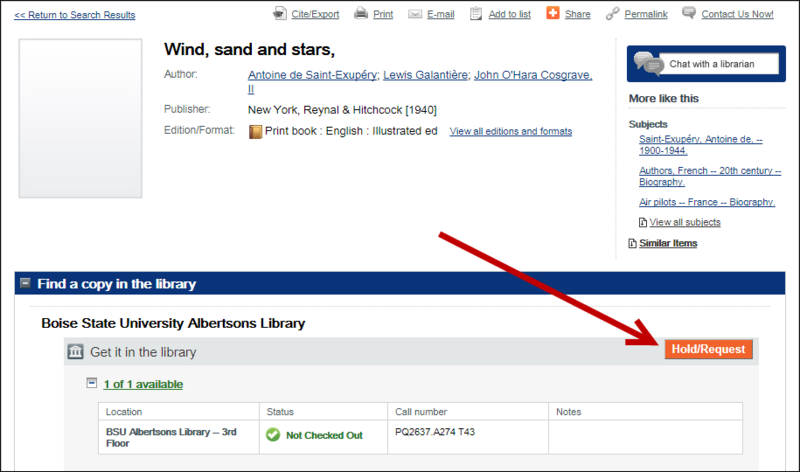 Search for the book you want using the search box on the Albertsons Library homepage at library.boisestate.edu. From the results screen, confirm that Albertsons Library owns the book, and then click on the title. 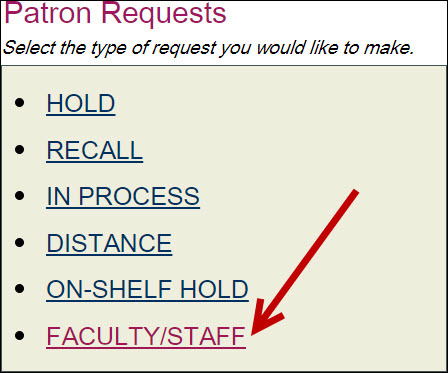 From this screen, click on the Holds/Request button. 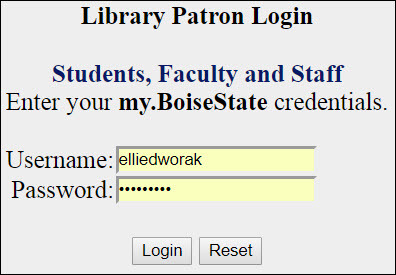 From here, log into your library account using your my.BoiseState username and password. A new tab will open with the Patron Requests options. Choose Faculty/Staff. 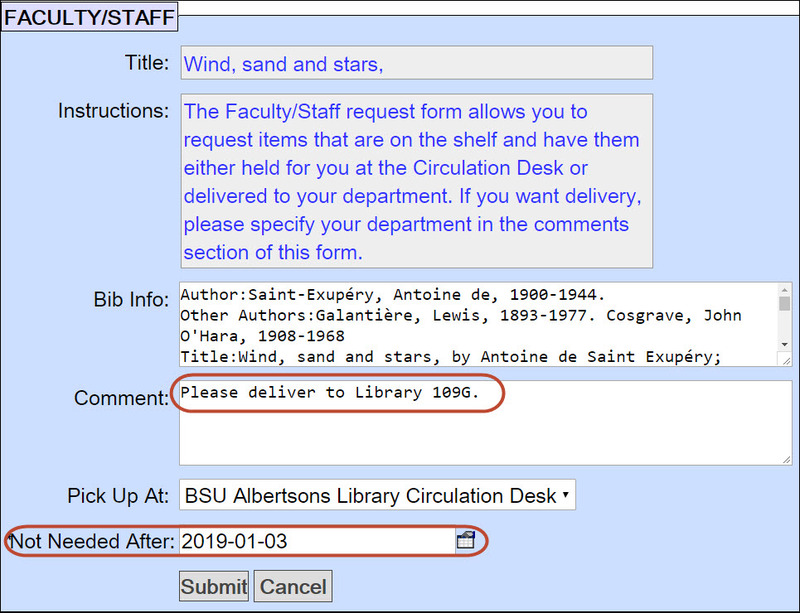 From here, you can add a comment noting where you would like the book delivered, change the date after which you no longer need the book, and submit your request. The confirmation screen will indicate that your request was successful. Don't be confused by the message stating "No holdings available." That's just indicating that the book is now checked out to you. You can now relax and wait for your book to be delivered!